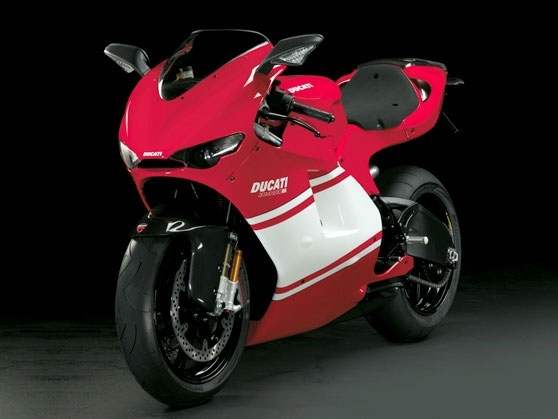 Ducati’s MotoGP bike for the street, the Desmosedici RR, is proving so popular the company has decided not to make enough of them to meet the demand. Unless demand stops at 1,500, that is. Since the RR’s June 2006 launch at the Italian GP a flood of requests for the bike has made it a commercial success even before it’s released. With more than 1,250 orders already on the books and the 2007 MotoGP title in hand, the Borgo Panigale factory has decided to “limit the total number of Desmosedici RRs” in order to provide a “safeguard” of value for those who have already ordered it. “Once again, Ducati wishes to reward the trust and loyalty of all those customers who made an early reservation and who can now see the value of their purchase increase even before collecting it from their dealer,” says the red company. They’re promising the first 500 to owners of 999R Ducatis who have ordered the MotoGP replica and say the full production run will be done by the end of 2008.